I am pleased to offer this interview with Russell Davis, Assistant Director of MBA Admissions at The Fuqua School of Business at Duke University. Moving into higher education was a career switch for me back in 2001, and one that I have found to be very gratifying. I started working at the Fuqua School of Business at Duke University in 2005 and joined the Office of Admissions in 2008. Prior to joining Admissions I was the Director of one of Duke’s Executive MBA Programs. In my first career I was a serial entrepreneur involved in three start-ups in the US. I was born in Houston, Texas. My father was an ex-pat so I was very fortunate and lived in a number of international locations growing up including Singapore, Hong Kong, London and Japan where I attended St. Mary’s International School. I actually lived in Japan the longest growing up, for three years. Why did you decide to become involved in Admissions? Two of my start-up experiences were ‘new concept’ start-ups. I spent a lot of time educating the consumer while at the same time creating excitement. When I made the move to higher education I quickly discovered that working in Admissions was where I wanted to be. It gave me the opportunity to leverage my skillset and passions, educating prospective candidates and creating excitement about an MBA Program that I believe is truly special. I enjoy working across cultures, and learning from and engaging with people who have different backgrounds from me. I am quite certain this comes from my international upbringing. My primary area of responsibility is MBA recruitment in Asia. Nothing puts a bigger smile on my face than knowing I have helped someone reach their dreams. What is it that you like about the Duke MBA? What makes it different from other MBA programs? More than anything, it’s the people – students and colleagues – and the culture. We have a very unique culture at Duke, something we call ‘Team Fuqua’, where our students truly appreciate being part of something special, and they know they are stronger and have a better chance to fulfill their potential because of the people around them. We have a student driven community that provides almost limitless opportunities for a student to develop the soft skills that will ultimately set them apart in their careers. At the Duke MBA we have a general management curriculum that enables students to fill their gaps and specialize in areas that are most important to them. Duke’s Faculty are highly ranked across all areas. When a student goes to a top business school, recruiters and sponsoring companies know their potential hires and employees are going to be smart and are going to learn the hard skills – finance, marketing, accounting, strategic thinking skills, etc. Ultimately, however, it will be the soft skills – their ability to work with others, to work across cultures, to influence, to be a future leader in their organization – that will enable an employee to have the greatest impact on their organization. These are the skills our students develop and hone as a result of the Team Fuqua culture. And to be honest, the thing I hear just as often from recruiters I speak to when discussing our students and why they are so desirable – our students are likable! When you are reviewing an applicant’s application, what are you looking for, what is the process? At the Duke MBA we are looking for students who are the right fit more than anything else. When a candidate begins reviewing business schools they are looking at the curriculum, the teaching methods, who the target employers are that are hiring students from the school and the industries in which the students are entering as well as the geographic locations where students are going. Next, they look at their own profile, their GMAT, their GPA, how many years work experience, and how these data points fits into the different schools’ class profiles. After they make this pass, it typically results in a short list of schools for them to focus on. Then they look at where the school is located, how is the quality of life and what is the student culture like? They are trying to determine which school is the best fit for them. Fit is a two-way street and we are doing the same thing. Of course, we need the applicant to demonstrate they can do the work, and that their professional and personal background brings something to the table. Next, we want to see in the application that the applicant ‘gets’ the Team Fuqua culture and truly wants to be a part of it, be an engaged partner and make the most of the two-year MBA experience, because that is what creates the richest learning environment for everyone. How do they do this? In their application we are going to learn a lot about them. We are going to learn about their past experience – where they’ve come from – and they are going to tell us where they want to go, what their post-MBA goals are. In their application it is their responsibility to tell us how Duke can help them achieve their professional and personal aspirations as well as demonstrate that they truly understand what makes Duke unique and how they are the right fit for our program. They do this by doing their research, by digging into the resources and programs that will help them achieve their goals and then highlighting them in their application. When an applicant does their research, it comes through in their application. And when they are the right fit, passion also comes through! I know candidates hear this all the time, but we truly do take a holistic approach when reviewing an application. We look at every element closely and weigh all components of the application equally. We dig deep. For example, when we look at an applicant’s GPA, we look at the coursework – was it challenging, we look at trends in grades, we consider the quality of the university and the rigor of the major. We do not have minimum score requirements for GMAT, TOEFL, GPA or minimum or maximum number of year’s work experience. I have heard of schools that will not look at a candidate if they do not have a certain GMAT or TOEFL score. That is definitely not us because we put so much emphasis on bringing in the right students. We know how important language skills are in an MBA program. What kind of a TOEFL score are you hoping to see? How do you assess an applicant’s English? Of course, a student must be proficient in their English skills, both speaking and listening, to be successful in an MBA program and the TOEFL score is one of the ways to get a sense of a candidate’s English. However, we also know that test scores don’t always accurately reflect a candidate’s true abilities. So in addition to the TOEFL score we will look at the candidate’s writing abilities in their essays and other areas of the application as well as in any email exchanges we may have with them. We will also get input from a candidate’s interviewer. Lastly, I do my best to engage with as many of our candidates from Japan in person as I can which obviously provides our office with first-hand insight into their English abilities. I meet with all Japanese candidates who make the trip to Durham for a campus visit, or have a colleague meet with them if I am traveling, and I travel to Japan multiple times a year to connect with our potential candidates and applicants in person. I can tell you that we had quite a few applicants who were admitted with a TOEFL score under 100 this past year, this is not uncommon. Can a high GMAT offset a low GPA? How about the other way around? Good question. 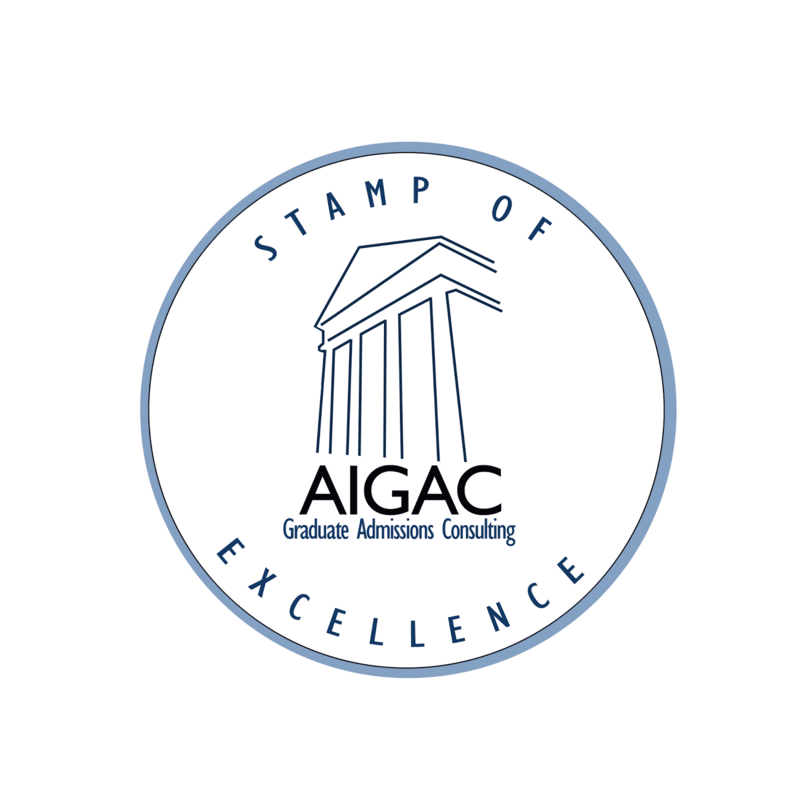 The GMAT and GPA give the admissions committee a sense of the applicant’s ability to do the work. A top MBA program is very rigorous and requires a solid quantitative aptitude. We do not want anyone who starts our program to not finish the program, nor do we want them to struggle such that they are not able to make the most of the MBA experience. There is so much more to the MBA experience than sitting in the classroom and doing the coursework, and we want the student to be able to take full advantage of everything their two years in Durham has to offer. I do advise candidates to review our class profile and get a sense of where their scores fit in. If they see that they are on the low end on both, I would suggest they put some effort into raising their GMAT, because there is not anything they can do about the GPA at this point. So yes, a higher GMAT can offset a lower GPA, as well as the other way around. Bottom-line, I often tell candidates, it’s ok to have a blemish on your application, they just don’t want to have too many! Do you look at an applicant's entire GMAT history, or do you only consider their highest overall score? When assessing an applicant’s application, we only consider the highest GMAT score they submit. We will look at their test history, but rarely does the history have an impact on their application. I will add, if the applicant has only taken the GMAT once and the score is on the lower end, and especially if their GPA is also lower, the Admissions Committee may wonder why the applicant didn’t take the GMAT a second time in an attempt to improve it and their application. Duke seems to emphasize a teamwork approach in the MBA program. How do you look for this in applicants? As mentioned earlier, we review every element of the application closely. We are able to see many different sides of an applicant and view them through multiple lenses in the application process. We get their recommenders’ insights into them in a working environment, we get the interviewer’s perspective and of course we learn much from the applicant themselves. At the Duke MBA, the vast majority of our interviews are conducted by second year students, if on campus, and alumni if off campus. No one knows better who is a good fit for our program than those who have lived it. We want to see that the applicant values others’ perspective, has an appreciation for diversity and understands how a diverse learning, and team environment makes them better. The three words candidates hear most frequently from business schools when promoting their programs are ‘teamwork’, ‘leadership’ and ‘global’. My advice to candidates is to ask ‘how’? In their research, an applicant should be able to understand how the school delivers in these areas. Can you tell me about your application rounds? When do you see the most applicants? At the Duke MBA we actually have four rounds. We have what we call our Early Action Round, followed by Rounds 1, 2 and 3. The Early Action Round is for those applicants who know Duke is where they want to be. They have done their research and they know Duke is the best school – for them. There is no advantage to applying in this round, other than the fact that if the applicant is admitted they are done with the MBA application process! They can now focus on preparation. If an applicant is admitted in Early Action they are required to withdraw their applications from other schools and submit their deposit. This round is a smaller round. We get the bulk of our applications in Rounds 1 and 2, split rather evenly. I strongly advise all candidates to not wait until the Round 3, another smaller round, because by that point the bulk of the class has been filled and there are only a few seats left in the class making that round extremely competitive. Also, all applicants are automatically considered for merit-based scholarship and by the third round we may not have much scholarship money left. For international applicants, they can also run into visa issues if they apply in Round 3 for by the time they receive their decision it does not leave them much time to get their visa, so we really like to see them apply no later than Round 2. How important is the campus visit in the admissions process? As I mentioned earlier, after doing their preliminary research a candidate usually has a short list of schools they want to focus on that can help them achieve their goals and provide them with the most fulfilling two-year experience. My advice to MBA applicants is to visit the schools on that short list. That is the best way to see which school is the best fit for them culturally. It also gives them a chance to see first-hand where the school is, and get a sense of the quality of life. In addition, it can really help an applicant put together a stronger application because they learn so much and get tremendous insight on their visit. For example, applicants hear and read about ‘Team Fuqua’, but it is so much easier to understand what it really means by experiencing it. At Duke we have amazing students who are passionate about helping and sharing their insights with prospective applicants. When a Japanese candidate comes to visit Duke they have an amazing experience as our Japanese students take great pride in hosting them and ensuring all of their questions are answered. Another advantage to visiting Duke is if the candidate comes during our open interview period – which lasts about 5 weeks from early September to mid-October – they can choose to have an interview during their visit and then have the interview attached to their application no matter what round they submit it in that year. If they are not able to come to campus during that time then the candidate must be invited to interview upon review of their application. If they are invited to interview, they can come to Durham for their interview where they will be interviewed by a second year student as well as take part in a number of other activities designed to give them a great Duke experience. Or they can be interviewed in Tokyo by an alumnus. In both cases, we have specific dates for the interviews. I travel to Tokyo for our Round 1 and 2 interviews to meet the candidates being interviewed. However, we understand that visiting Duke from Japan is not always feasible, and we certainly don’t hold it against an applicant if they can’t visit. It just means the applicant will have to do their research and connect with our students and community virtually. Fortunately, as I just mentioned, our students are so helpful, they spend many hours on Skype calls with potential applicants as well answering emails with terrific insight. And our alumni in Japan are also great about sharing their experiences. So applicants can still get great insight into the Duke MBA without visiting. First, I want to thank you for the opportunity to share my insights, John! I often have candidates come up to me and start a sentence by saying, ‘I heard at Duke…..’ and then they tell me something that is news to me, a rumor or simply misinformation. I clear up whatever they heard, and then tell them the best place for them to get their answers is straight from us! So I appreciate this chance to provide what I hope is some useful information to future applicants. What our office is most proud of is our commitment to getting to know our applicants. In two recent surveys of incoming MBA students last year Duke was ranked #1 and #2 respectively on the question ‘How well did the business school get to know you in the application process?’ I believe this is a reflection of our special culture and community, as well as our commitment to meeting our applicants on the recruiting trail. It may also have something to do with one of our essay questions – Tell us 25 Random Things about Your Self? But that’s a topic for another time! And on that note, I encourage candidates to come join me at my Information Sessions in Tokyo this year, where they can count on my providing more insight into what we are looking for in candidates and their application. Thanks again, John! Thank you Russell for your time!